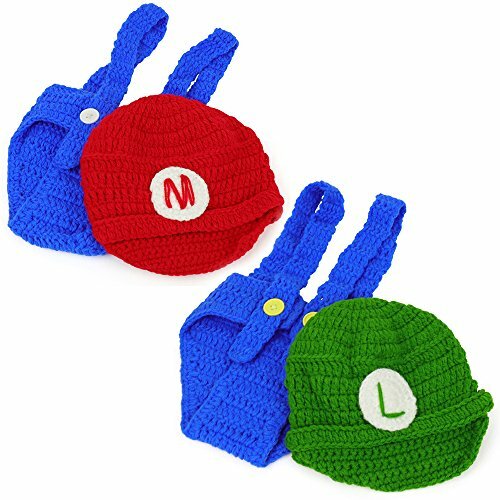 Our Mario and Luigi Infant 2 Piece Outfit Crochet Hat and Pants is cute and adorable 2 piece outfit set for Halloween and new born photoshoot for infants. 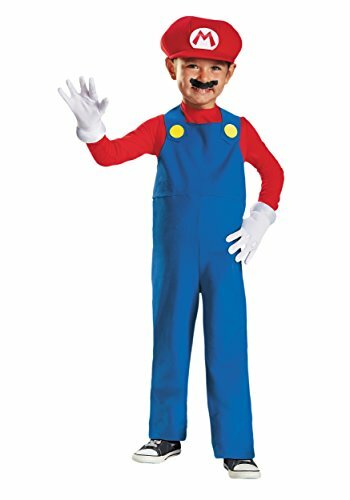 2 piece outfit comes with Mario or Luigi crochet hat and pants. 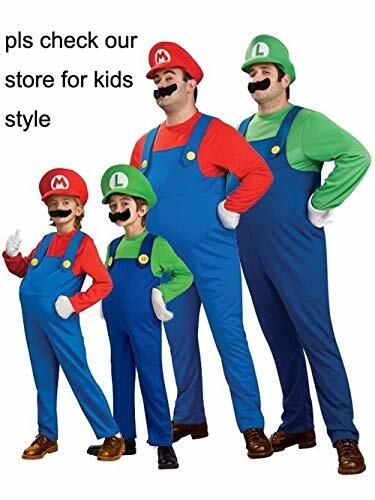 You can also buy 2 pack of Mario and Luigi together as you wish. Made of 100% Acrylic. 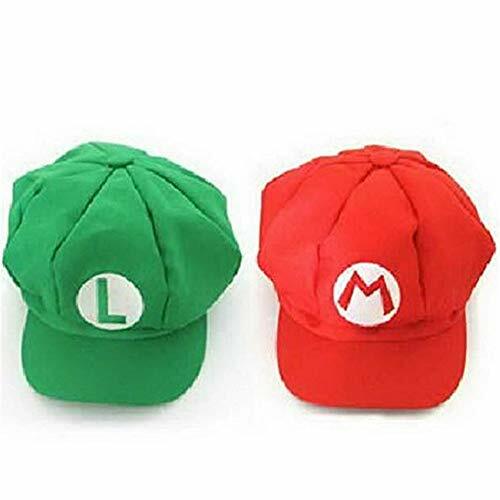 Super Mario or Luigi crochet hat with pants. Super soft material. 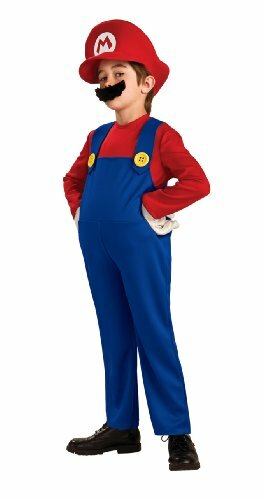 Perfect for any costume event and new born photo prop. One size that fits new born to 9 months. 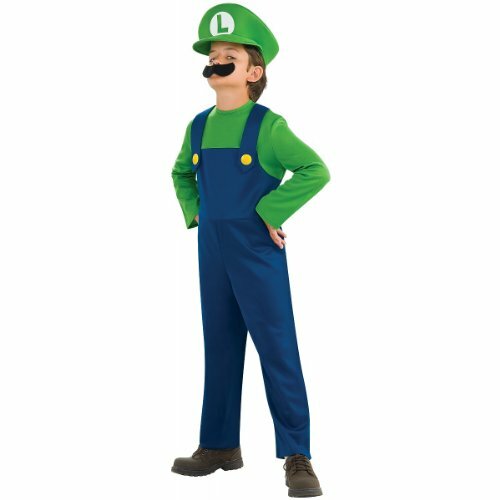 883656T Size: Toddler Features: -Super Mario deluxe Luigi costume.-For children.-Comes with jumpsuit, inflatable belly, hat, gloves and mustache.-Toddler sized costume is suitable for children between the age group of 2-4 years.-Small sized costume is suitable for children between the age group of 4-6 years.-Medium sized costume is suitable for children between the age group of 7-8 years.-Large sized costume is suitable for children between the age group of 10-12 years. Options: -Available in toddler, small, medium or large size. 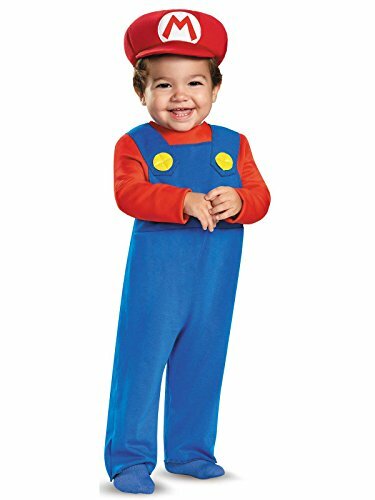 Dimensions: -Toddler sized costume has height: 35''-39'' and waist: 22''-24''.-Small sized costume has height: 44''-48'' and waist: 25''-26''.-Medium sized costume has height: 50''-54'' and waist: 27''-30''.-Large sized costume has height: 56''-60'' and waist: 31''-34''.